Just so there is no ambiguity. I have no desire to harm Pavel. I only tell him to come and talk to us. Not to justify himself, just to present his work, to exchange, etc. Is there anybody in this community who can translate it? The "EN" button for english does not work on my PC. The good news for Pavel is that with Darwinex he has found a legal environment ready for use and he will be able to focus on his trading. AUA has less than $1000 Equity on his/her account. Yes, vs 13'000.-- (cents) on the migrated account. The IPO dates from February 12, 2018. Everything that was earlier was imported and then modeled. I wonder if the native part of the track-record deserves private AUMs and DarwinIA allocation. 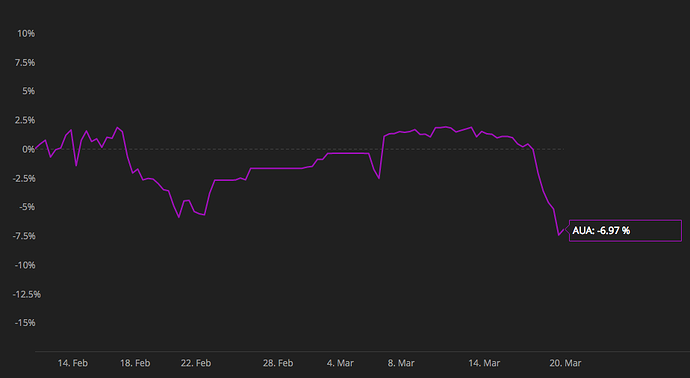 We must admit that the migration of track records and an essential element to attract traders on Darwinex. A necessary evil. When we try to buy a Darwin with a significant divergence, we have a warning message. Perhaps a warning message that investing in freshly migrated Darwin represents additional uncertainty would be a good idea. Even Mql5 delivers this kind of alert message. Ex 5 for migrations, the rest they have to earn, this would solve many problems. Alowing to migrate only 6 months of trackrecord would be even better. I agree that migration is a necessary evil but it was more necessary 2 years ago. That "hidden" asset was only a visual error. Now it has been fixed. 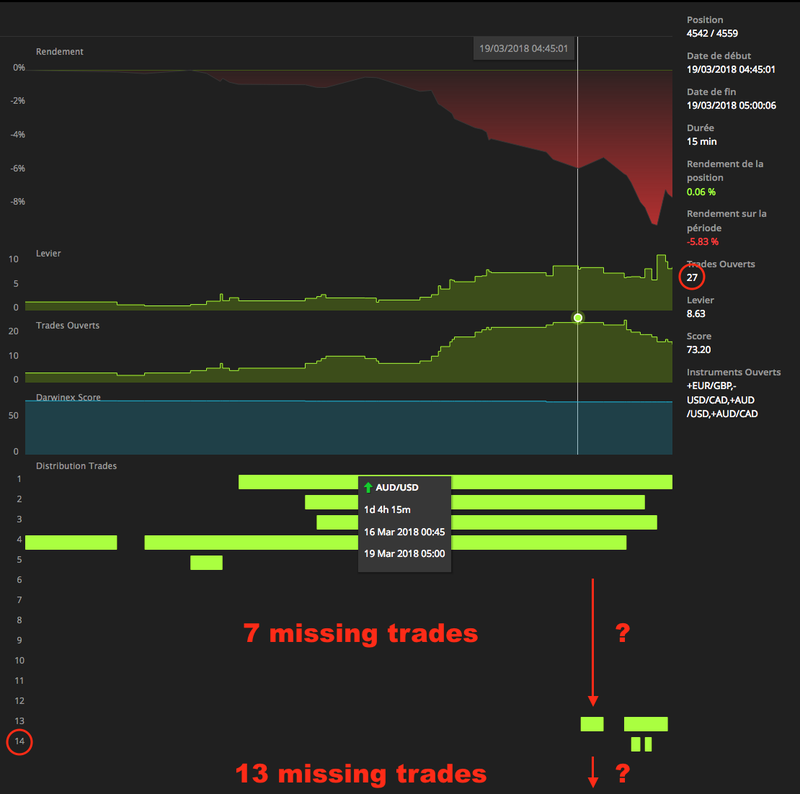 There is still a big problem with the horizontal bar graph that shows the number of open trades! Unless the chart shows only trades that are not hedged? Honestly, I think to be quite expert about Darwinex, but I have some problems also with "Trades Distrubution" of my darwins! Old trading journal with trades of the underlying strategy was much more clear! I just sent an email to support saying that the priority should be writing the Darwinex environment reference manual. It's not normal for a user like me to do some sort of reverse engineering to understand how certain aspects of the platform work. What is the use of a metric, if only the engineer who develops it knows exactly how it works and what is its exact use? It is a good thing that now investors are focused on darwins and darwins work with positions, but before I was using trading journal also to monitor my systems, like a "relay" of markets and trades. An interesting view and a diagnostic tool completely missing on myfxbook. Now I can't do it anymore. Thank you for the reminder @Medialux! This is something we are working to improve, definitely.